The Martin Luther Campus supports residents, families and staff to integrate Spiritual Health with their physical, mental and emotional well-being. We honor and respect diverse spiritual needs to each individual as well as making a wide variety of resources available to them. The Campus is served by Chaplain Luke Roske-Metcalfe and Rev. Valerie Snyder during business hours as well as on-call 24 hours a day. 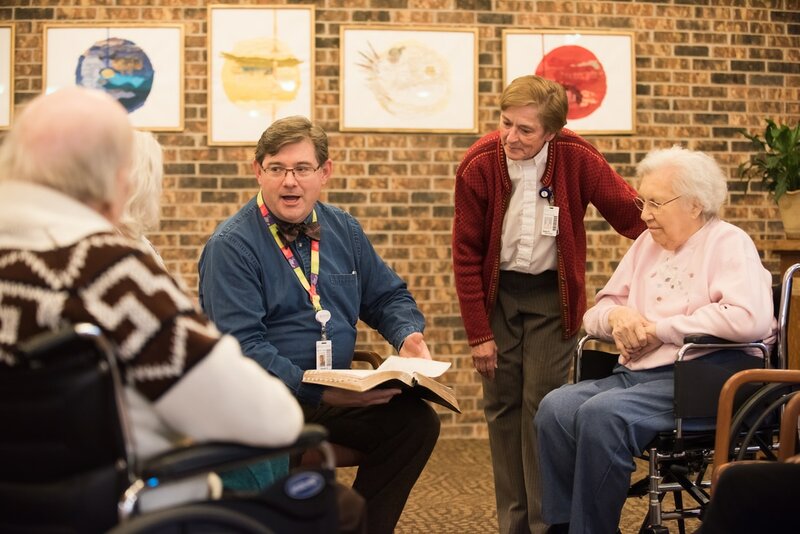 Ebenezer Chaplains, local clergy, and live musicians lead weekly Christian worship services that are open to residents, family, staff and visitors. Catholic Communion - 1st and 3rd Thursdays of the month at 10:30 a.m.
Rosary - 2nd and 4th Thursdays of the month at 10:15 a.m.